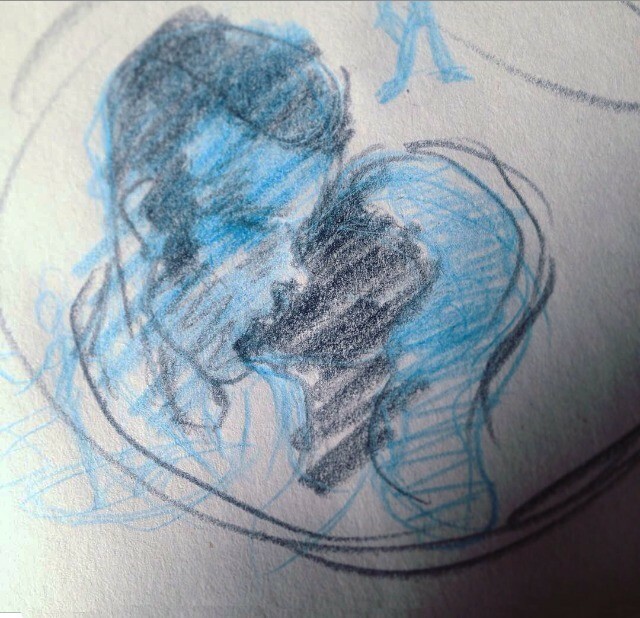 I find it hard to draw people kissing so I thought I'd try. It's rather dramatic I think. If you've got any thoughts on this series please let me know.